Atwood Architecture has been in existence in one form or another since 1992. Originally founded by Keith Myhre as Myhre Architecture, the firm has transitioned through the years as they’ve grown, as some members explored other opportunities and as the changing economic climate required adjustments. The current sole principal, Scott Atwood, joined the firm in 1995. Here’s a bit about Scott…..
Scott is a native Montanan, born and raised in Billings, graduating from West High School in 1979. 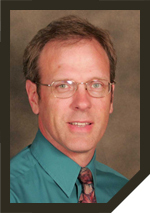 He attended Montana State University-Bozeman, in the accredited Architectural program, graduating in 1984. Beginning in 1984 Scott worked for two Billings based architectural firms and joined in a partnership with Keith Myhre in the firm of Myhre Architecture in January, 1995. In 1997 the firm was renamed to Myhre-Atwood Architects and Planners and relocated to 1301 Division Street in Billings. In 2003, the firm transitioned to sole ownership as Atwood Architecture as Keith explored other opportunities. In 2006, Scott joined CTA Architects and Engineers, enjoying 3 great years with this firm before transitioning back to Atwood Architecture in 2009. Scott has been licensed to practice Architecture in the State of Montana since 1989 and has project experience in the full range of project types and sizes, from residential to multi-million dollar commercial, religious, industrial, law enforcement and hospital facilities.